The first Lorraine whiskey was born in the early 2000s thanks to the passion of two men: Hubert Grallet, distiller and Christophe Dupic, produce of cereal in Rozelieures in Meurthe-et-Moselle. 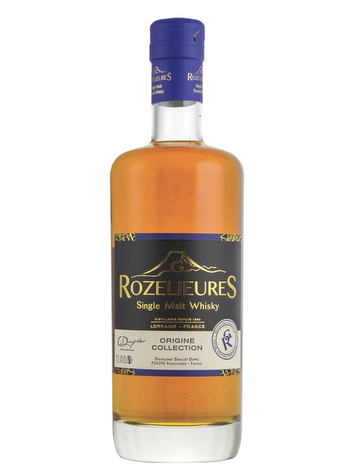 Single Malt G.ROZELIEURES is the first whiskey produced in Lorraine. It is distilled and aged in oak barrels that have hosted sherry wines. The casks bring to the whiskey spicy and powerful vivid notes with a very long finish.